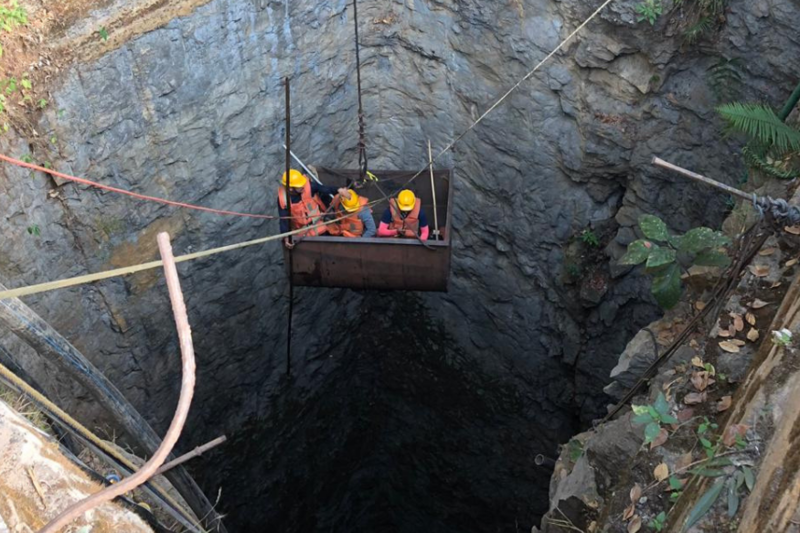 File Image of operation being carried to rescue the trapped miners in Meghalaya. The Supreme Court on Monday maintained that the trapped miners in Meghalaya seemed to have not alive. Justice Sikri said during the hearing of a public interest litigation (PIL) which was filed in the apex court seeking urgent steps for rescuing the miners trapped in the rat-hole mine since December 13 last year. 20 miners had descended in the mine in Ksan village in East Jaintia District of Meghalaya on December 13 last year. As water from the river flooded the mine, five miners were able to climb out of the mine. However, the rest of the miners were trapped. Both Central and state governments faced flak for being slow to mount an effective rescue effort. Even when the rescue work had begun, pumps being used to remove water from the mine were found to be of inadequate capacity. The rescue effort was stopped as adequately powerful pumps were not available with the authorities.